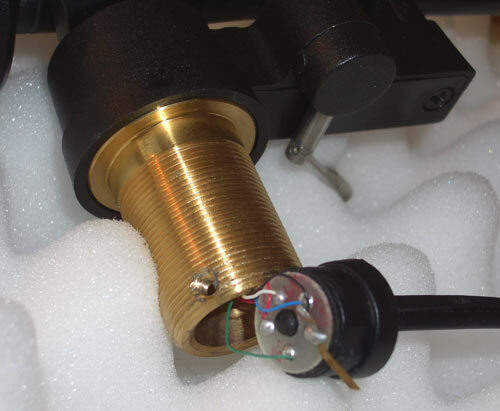 REGA Tonearm modification, cutting the connection between the tonearm metal/ground and the left channel ground. This job takes 5 minutes and needs patient and smooth professional hands. Attention, never use a meter, if the cartridge is connected, the coils can burn out. 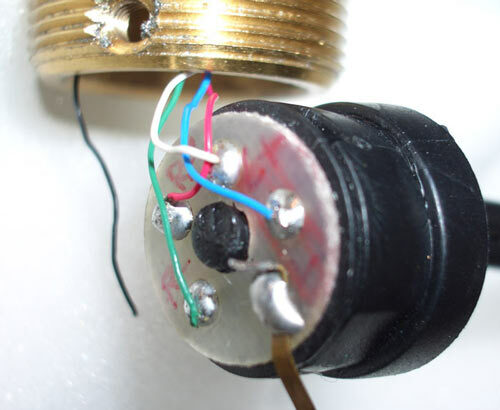 Always disconnect the cartridge clips before connecting a meter to the tonearm wires. Never connect a meter to the cartridge! ATTENTION: the wires inside are very very thin! If the screw is loosen, hold with the hand the parts together. Here the internal black groundwire is cut off, and the metalstrip soldered off from the left-ground and bend up. Now the ground is removed from the left-channel ground. 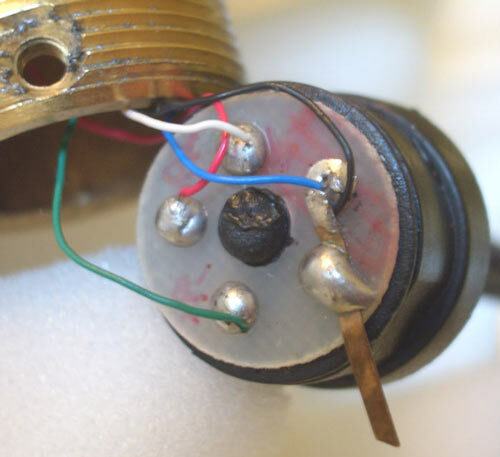 Melt a channel or drill a whole into the side of the plastic-plug that the new ground wire can pass into the tonearm. Now solder the internal black ground-wire and the external ground-wire onto the metalstrip - thats it. because a separate ground-cable is the right way to go. Now the tonearm is like 100% of all available Tonearms. and receiving a lot of high-frequency dirt and all the electrosmog, up to that is is unnecessary amount of metal-mass in the signal.